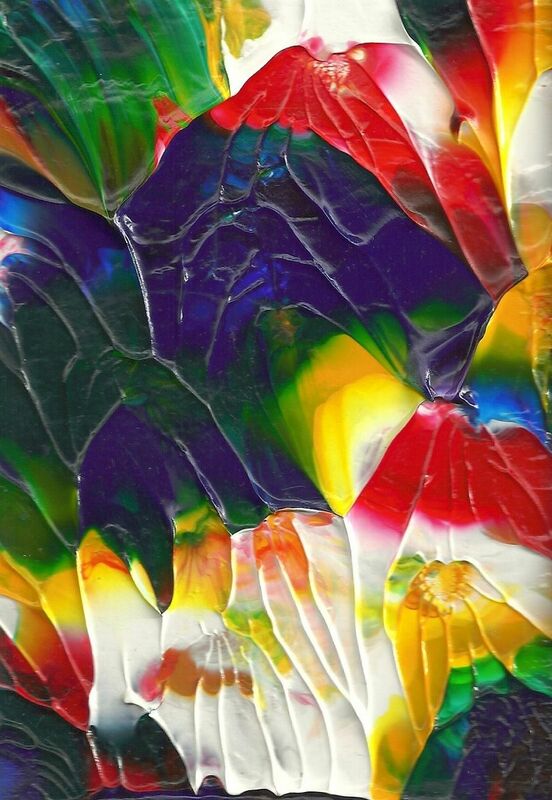 Shades of blue, yellow, green, red, and white adorn this 5x7-inch abstract painting. The soft mixing of the colored edges on the Acrylic Grade Cold Press paper create a peaceful effect that balances out the striking contrast of the acrylic paints. Painted with the aid of a pallet knife, it is set on an 8x10-inch double white mat. This is another original of mine, and would undoubtedly make a fine art gift.